Bringing the most fantastic international and local menswear stores together all under one roof shoppers can look forward to strolling through the doors of stores to the likes of Fabiani, Bagozza, Tread+Miller and Markham. As the leader in menswear fashion and denim in South Africa, Markham has over 140 years of experience in menswear and leads urban, street-style fashion and denim in Africa. The Menlyn Park Shopping Centre outlet at 1250 m² is the largest store ever, and will encompass The Tech Bar, where you can get your social-media fix and charge your phone. There will also be “chill spots” where the ladies can relax and check out their guys in their latest threads. Relay Jeans housed in Markham – has nothing but the freshest looks to see in the latest in trends for the youthful and energetic guy who sets trends and doesn’t follow them. Their pin boards in the store carry unique fixtures with denim-on-denim showing their originality and authentic style authority. Tread+Miller is a unique footwear and accessories destination dedicated to the style-focused man. On-trend brands will be central to this great new store, in which masculine smells of cologne and leather will put shoppers completely at ease. The House of Bossellino, established in South Africa in 2011, specialises in formal and casual apparel and footwear, selling top labels including, Damat, Abbliamento Versace and Stefano Bemer. Carducci opened its second flagship store at Menlyn Park Shopping Centre, and houses both men’s and women’s collections under one roof. The store even boats a VIP area where expert consultants can advise discerning shoppers on their wardrobe. Suits can be made to order, and an on-site tailor will be available for immediate alterations. Sartoria Milano, home to master tailors have been crafting high-end garments since its inception in 1980. By bringing together the best of European fabrics that are blended in Italy and impeccable tailoring they are well versed with international menswear trends and contemporary cuts. There has never been a better time to be bespoke. Since 1978, Fabiani has been the Leading Premium Menswear Retailer in South Africa. The much anticipated Fabiani opened a luxurious flagship store in Menlyn and offer the exclusive Fabiani Collection, G- Star Raw, Happy Socks and the Magic Smell of Comme Des Garcons. 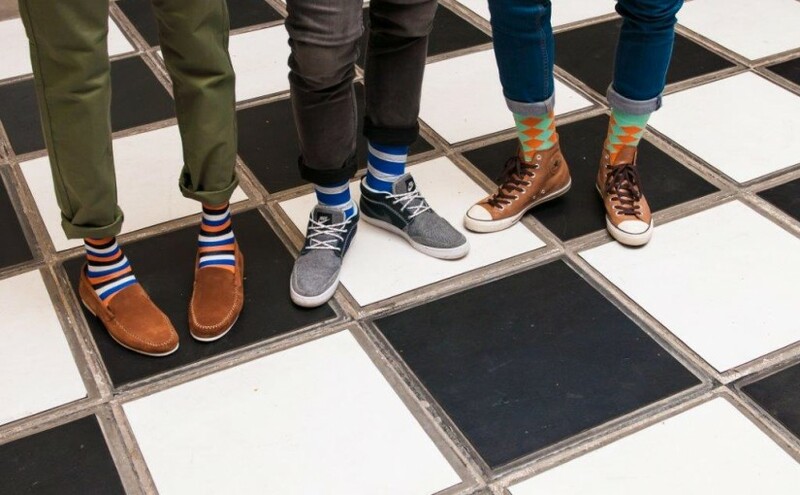 And last but not least, Cape Town sock specialist Nic Harry will be bringing to Pretoria its limited-edition bold and daring socks, made with soft and luxurious bamboo fibres. Who will be able to say no to all that!